This is part 3 in a series of “How to Get Your Kids to Eat ________”. The first two segments addressed veggies, click here to see what you missed. Meat is tough for kids, literally! Parents often share their concerns with me about their child’s difficulty eating meat and it is often perplexing to them why it is so difficult. Try to sit in your child’s booster seat for a moment, figuratively not literally… meat is often dry, on the blander side, and requires a lot of chewing. When you think about it, it really isn’t too surprising that kids often aren’t motivated to eat it. Of course, there are other protein sources such as cheese, yogurt, beans, tofu, etc, and if you’re a family of vegetarians, that works great. However, as a parent, if you are eating meat, it is a healthy expectation for your kids to eat it also. My friend Katie from On the Banks of Squaw Creek has a post up today about guilt free meat eating that is very informative. (Yes, this is the same Katie that wrote a non-sponsored review of a feeding consultation I did for her two sons.) Please know vegans and vegetarians, I respect your principles. Soft and Moist or Crisp and Crunchy: Texture is often the first turn off, so it is important to make it more appetizing. Kids gravitate to crisp and crunchy textures like crackers and pretzels or soft and juicy textures like fruit. Think about marinating and cooking meats slowly to achieve the latter or conversely broil to give meats a bit of a crispy texture. Flavor: Meat is often dry and sometimes lacks taste, so be creative in boosting the flavor especially with cheeses, peanuts (check this recipe), and sauces. Salt is okay, as long as it is used in moderation, and that little bit of salt can go a long way in terms of taste. If you have prepared a meat and your kid doesn’t eat more that a bite or two, take a minute to ask yourself how it might have tasted to them. 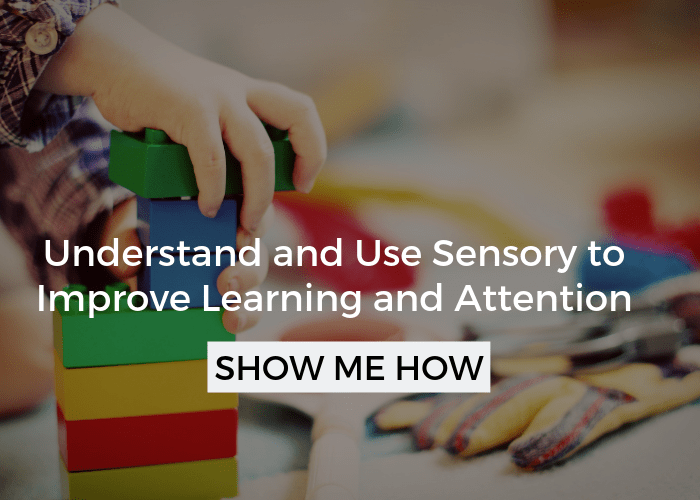 There is a learning curve here and it may take some experimentation to find what your kid responds to. I’ll get into some specifics below. 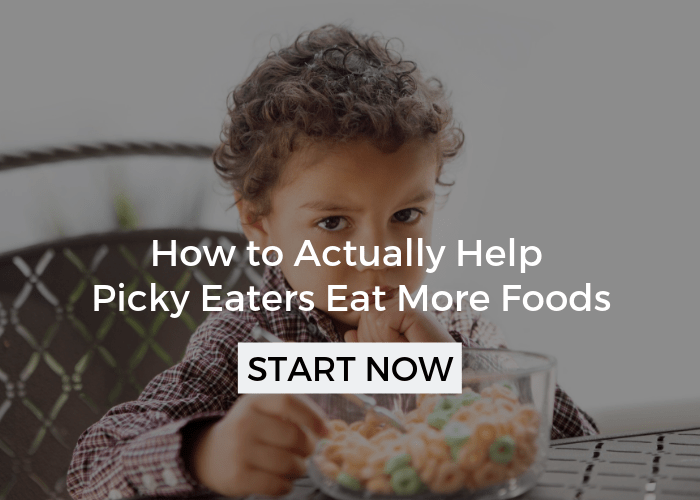 If you feel like you’ve tried everything short of standing on your head, make sure you read, When Picky Eating Has Gone Too Far, and Exploring New Foods. 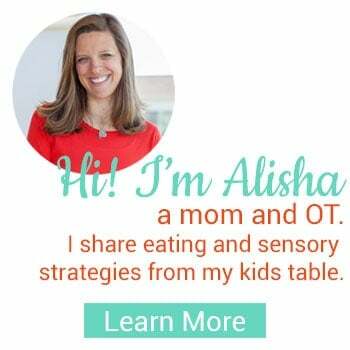 The next few points I am going to cover apply to any food you are trying to get your kid to eat, but are really important when it comes to meat. Small Bites: Kids bite into a hunk of meat and immediately regret it because it is hard to bite through, or they start chewing and get overwhelmed by how long it takes. 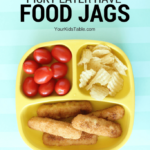 This gets better with practice and once you get your kiddo starts eating meat consistently, you can give them larger and larger pieces. In the beginning, dice meats small or into thin strips. Also, keep meat as flat or thin as possible. Sometimes, a small piece can be thick and that may still be a turn off. I’ve served crumbles of meat at times with success. 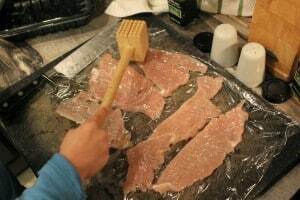 Breading: This goes a long way with kids and again should be used in the beginning, then slowly transition to meat with less or no breading. There are so many things you can bread with such as: pretzels, cornflakes, panko breadcrumbs, cornmeal, crackers, or Parmesan cheese. You will be cutting your meat to bread it, so make those pieces small at first and add seasonings to your breading for lots of flavor! Putting meat inside of bread is another strategy. Mince it up and place in a cheese quesadilla, like the way I did in my Turkey Burritos. Think about pitas, french bread pizzas, on top of nachos, and sandwiches, too. Dips – Masking the Taste and Texture: Dips can really help mask the flavor of meat. Initially, allow your kid to use a lot of ketchup, ranch, bbq sauce, honey, syrup, sour cream, salad dressing, spaghetti sauce, alfredo sauce, pesto, applesauce, etc. Think outside the box here, it may seem weird, but if it works, it is a big step in the right direction. Describe Food in Fun Ways: Coming up with fun names for new foods creates a level of intrigue with kids. Maybe the homemade chicken nuggets you made are “little comets” once you dip them into “space sauce”, aka ketchup. Be silly, the kids don’t care if it doesn’t make a lot of sense. Put it on a Stick: Use toothpicks or skewars if your kid is old enough to be trusted safe. This brings an instant fun factor that kids love and is easy to pull off with meat. For more on using sticks click here. Cook it Together: I feel like a broken record with this one, but if you are new here, I’d be remiss not to mention it. Cooking together brings a level of interest and investment to the meal. For more on cooking with your kids click here, here, and here. I’ve touched on this point a few times throughout this post, but you have to start somewhere. When you have a little success you can build off of it. Once your child is eating a few meats, you can make small changes to those meats to help build their variety. I discuss this in a lot more detail in Expand on What Your Kid is Eating. 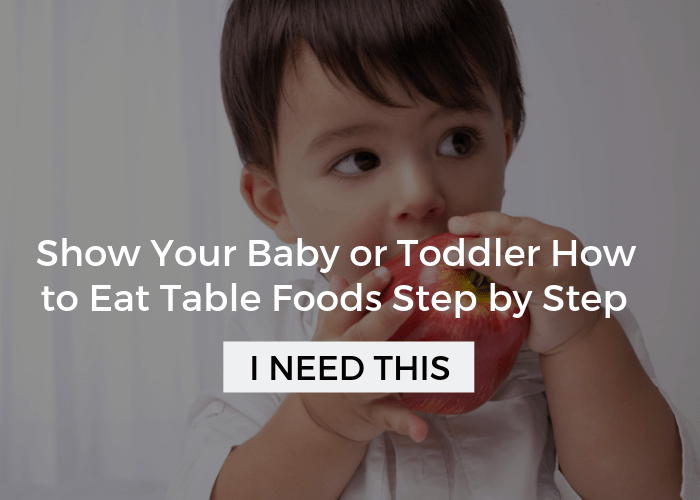 Make sure you read this if you are struggling to get your kid to eat a variety of foods. Keeping in mind texture and flavor, below is a list of meats that I have seen my own kids and kids I work with gravitate to first. It is no wonder, these meats are the most flavorful and tend to be crispy or soft. Following each of these foods, I am giving you some examples of foods to “build a bridge” to more foods. 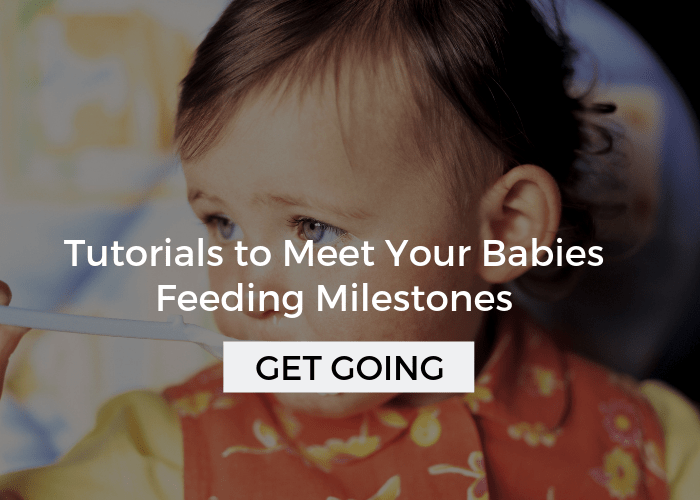 In the meantime, serve a variety of meats and encourage your child to interact with it in someway. Remember, if you are serving a meat your child has never eaten or has refused, think of it as a non-preferred food and serve it alongside something they do like. 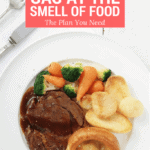 See Basic Strategies to Improve Eating for more on this. Of course, each child is unique and yours may try something unexpected, use that as your guide to try other similar foods. 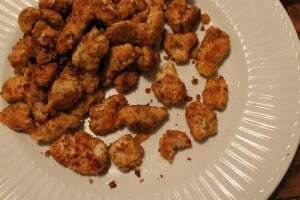 To help get you started I’m going to share an easy way to accomplish the flavor and texture with a homemade chicken nugget recipe. 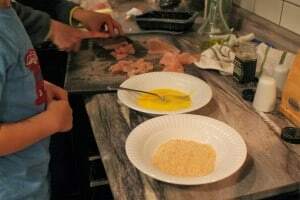 In the pictures below, I used turkey cutlets and kept my pieces very small. However, some of the pieces curled up a little during cooking and got a little thicker. If you are trying this for the first time, keep flattening the pieces with a spatula while you are cooking. The flat texture is much less overwhelming for kiddos. Sam was able to help me pound this out. Supervise, you don’t want it too thin. We set up a little station. Sam supervised this part, he’s a little young for handling raw meat. Voila! Little, flavorful, juicy turkey bites! I came up with this recipe to help get my kids eating chicken. It works because you can control the size and it is very moist, soft, and flavorful! 1. Cut chicken into small pieces, perhaps even bite sized. 2. Lay plastic wrap on top of chicken and flatten with a meat tenderizer or heavy pan. Don’t over do this. 4. Roll chicken pieces in egg and breadcrumbs. 5. Saute in butter and/or olive oil over a low heat until cooked through. Have any tips or meats that have worked for you? Questions? Leave a comment! My child is protien deficient. She rejects almost all forms of protien and for some reason hates it. Sooo we puree spaghetti sauce with meat and beans to a more palatable texture for her. At first I admit I snuck it in but now she is ok with it and aware. She still has protien shakes alot of days but it is something. When you mention protein sources you totally neglected beans, nuts, broccoli, spinach. Cheese has too much fat in it it and eggs have too much cholesterol. Johnny, That is only good if your doctor told you lay off the cheese and eggs. Does not apply for a developing toddler. The brain is made of up fat and cholesterol, starve the body of those things and the brain will starve too. Thank you for these tips! I will try breading different meats now. My son (1.5yrs) used to eat dry chicken, fish and meatballs, now he won’t touch ground beef or chicken (unless it’s crispy and breaded). He seems to be pulling towards either crispy or puree at the moment. Thankfully scrambled eggs are still okay. My blender needs a break, ha ha. I have a 2 year old who refuses to eat meat. Not even chicken nuggets. I’ve tried small thin diced and even in spaghetti he pushes to side and eats sauce and noodles. Once in awhile he will eat hot dog. Any suggestions? Help!! Like I said above, meat is really tricky for some kids because of the texture. He will likely sort it out. Try cutting the very edges off of chicken nuggets so it is mostly breading at first and use a dip! Humans have pointy teeth for meat. STOP forcing your kids to an unhealthy and unnatural diet! Go vegan. Really? Many children are left malnourished as a result of a strict vegan diet. It results in hospitalization and even death. There is no evidence to prove that it strengthens the immune system. I don’t recommend a vegan diet for anyone unless you want to end up sick, miserable and shaky. I am much happier with grass-fed beef and free range chicken. Not at all, I think its great if you and your kids are vegan and totally support that. 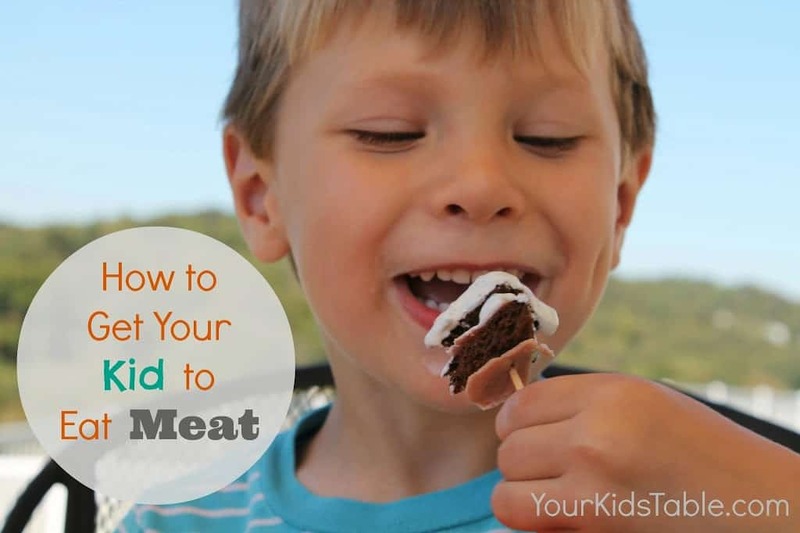 This article is to help parents whose children have difficulty eating meat. Thanks for this! These are some great ideas! My 2 year old used to do really well with meat. He liked turkey meatballs, chicken tenders, pulled chicken from the crock pot and lately he’s been turning his nose up at all of the above. Could this be a developing problem or is he just being 2? 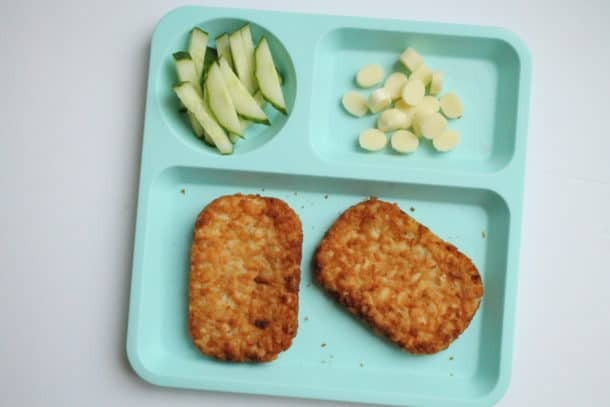 My son used to it bland chicken dipped in ketchup and nuggets easily. Now at 4, he knows that chicken comes from hens, and refuses to touch any animal products, including egg and meat. I give him minced meat camouflaged in rice or deep fried samosas, but I lie to him about the content. As long as he believes there isn’t any chicken in it, he will eat it. But this strategy won’t last long and I feel guilty lie ing to him. This is a tricky one! Wow, at 4! I hate to pass the buck here, but I think this is a judgement call for a parent. I totally understand how you feel. 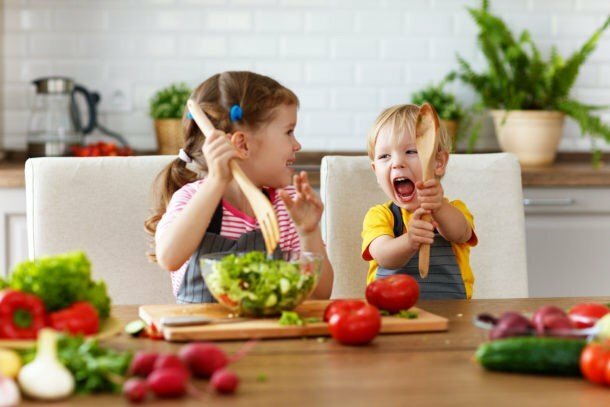 If it were my kid, I would talk about other protein sources with him and let them help choose some things to eat in advance that you could all eat together. I would continue to try, but talk about what is appropriate dinner conversation. It may be a phase that passes. GREAT ideas! My boys will eat breaded chicken nuggets and breaded shrimp. I wonder if they’d eat tiny breaded turkey meatballs? I love that idea! I’m even thinking turkey crumbles, so small they can be eaten in one bite!